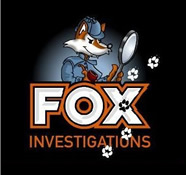 Welcome to Fox Investigations, your online Private Detective agency. Members of The Institute of Professional Investigators, Association of British Investigators, World Association of Detectives Inc and World Association of Professional Investigators. Welcome to Fox Investigations, your online Private Detective agency. We provide our services to Private Individuals, Large and Small Businesses, Solicitors and Insurance Companies. Fox awarded ABI "Investigator of the Year 2005-06"
Whether you require to instruct a Private Investigator for a Matrimonial Matter, Locate a Missing Person/Beneficiary, Road Traffic Accident, a Witness Interviewed or any other investigative matter, Fox Investigations will be there for you. Observations static/mobile with both male and female operatives. We will carry out Surveillance for you and make enquiries into anything you wish. We are based in Scotland but operate throughout the UK and have associates throughout the world. Just click on any of the items in the menu bar above for further information. Click here to email us with your questions about any aspect of private investigation and we will do our best to answer it - and it's free! Fox Investigations is committed to offering you a very professional service and one that you can trust. Or why not ask us yourself, call us now on 0141-776-0072 or email us here.